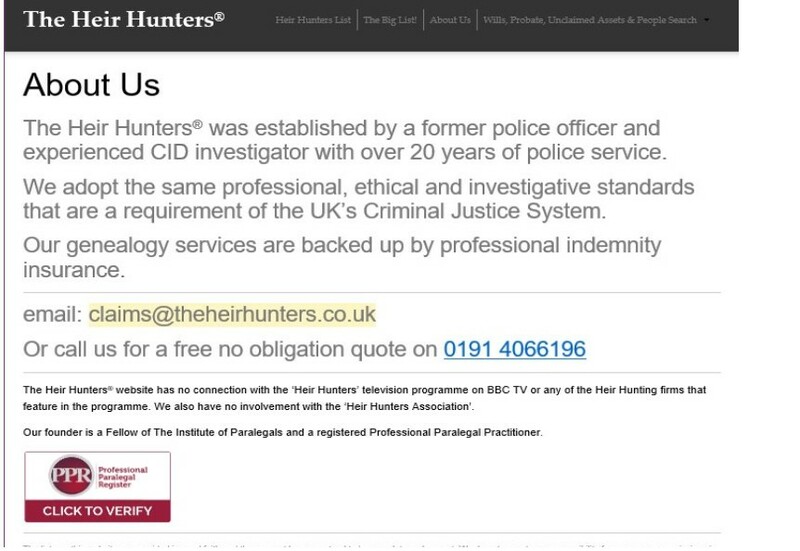 The number of probate genealogy companies has grown since we first filmed ‘Heir Hunters’ with the BBC back in 2004. Few people knew of our work. We called ourselves ‘Heir Hunters’ and the TV production company named the show after it. What audiences saw on TV was only a small part of our work and this encouraged people to try their hand at tracing missing heirs. However, the reality is more complex than what the cameras filmed and the influx of new entrants has led to an increase in fraud and improper management of estate assets. That’s why we’re on a mission to shine a light on bad business practices in our industry. In recent months, we have become aware of genealogy firms claiming to offer professional services for heirs to an estate. However, upon closer inspection, we identified gaps in the information they provided, perhaps to mask their lack of experience, or maybe to hide their identity and prevent anyone from verifying their claims. When you go online and search for an heir hunter or genealogist, you’ll come across many advertisements and websites. At first sight, their web presence might look professional, like the example of a company called “The Heir Hunters” – but look on their ‘About us’ page and none of their staff are presented. Celtic Research is upfront with its clients, so compare the example above, with our team page: everyone has a name, photo, personal statement and their defined role. The public should beware of companies that do not name a single director, or representative. If you see a lack of transparency, you should ask: Who and what are they trying to hide? Our investigation can reveal that Family Wise Ltd. do not have permission to use any of these three logos and action is being taken by these institutions against this firm. In their reply to us, Companies House stated that Family Wise “are not able to use our logo for promotional purposes or to give the impression we endorse or work in partnership with them”. You can also see on their invoice that they charge additional estate administration fees, which should have formed part of the full service they provide. We have already highlighted such malpractices in our previous article. 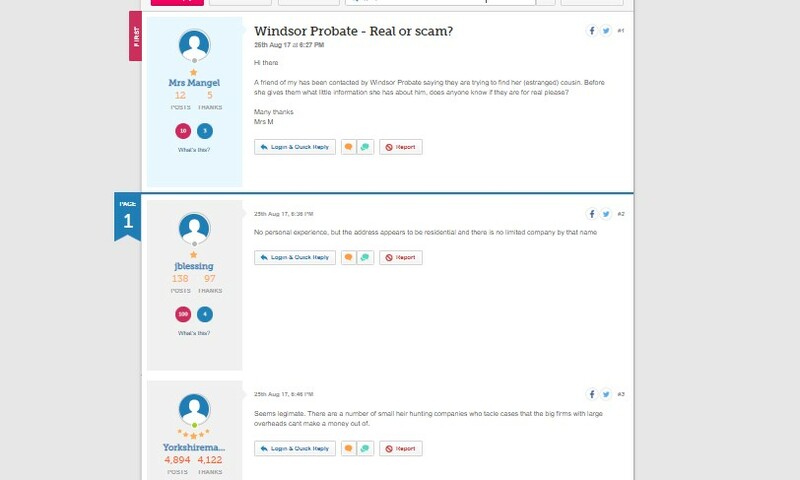 At the time of writing we can confirm that, Windsor Probate, who are mentioned in this forum, were not registered as a data controller with the ICO -in breach of the General Data Protection Regulation 2018 (GDPR). Windsor Probate manage sensitive personal client data and are required to register with the ICO, but our work uncovered their lack of compliance with the law. We hope our work helps you identify a company you can trust to act in your best interest. Look through the firm’s website and see if it can provide information about the company and their team. Beware if they are afraid to show you who they are. 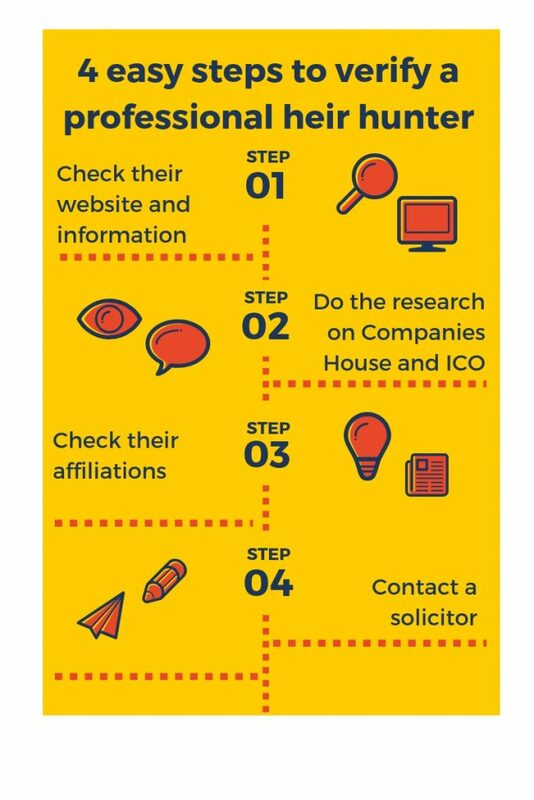 Check if they are registered with Companies House and ICO by searching for their name on those websites. Prevention is key – so stay tuned for Celtic Research’s upcoming articles with more specialist advice. Get in touch if you have more questions!